Will the ZAP Alias electric car be viewing the Washington Monument by Night when the Progressive Insurance Automotive X Prize awards the top three prizes later this year? The sleekly styled Alias is a 100% plug-in electric roadster designed in a three-wheeled configuration, two wheels in front, one in the rear. The 2-passenger car employs unique automotive design and manufacturing techniques in order to achieve ZAP’s business goals of practicality and affordability. This will be achieved in four ways: (1) a three-wheeled design, (2) AC motor/ controller, (3) lithium-ion batteries, and (4) composite construction. The Alias features power windows, steering and door locks along with an internal GPS system, solar glass and euro-racing leather seating. The target price for the Alias will be approximately $35,000. 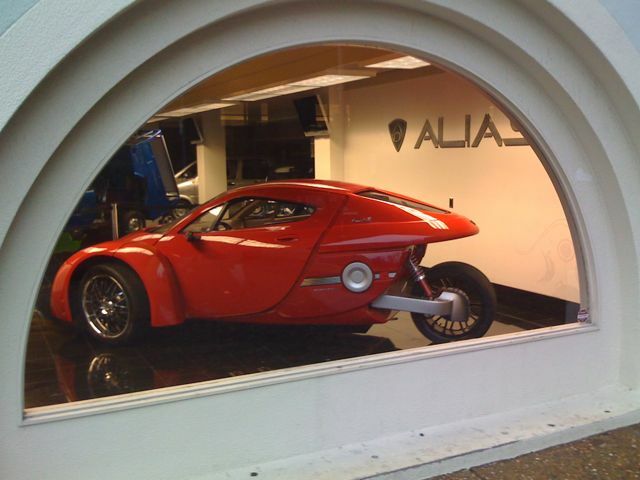 The Alias is being made by an diverse team of engineers and workers at ZAP in Santa Rosa, California. I am very excited about your direction and a believer. I am looking forward to the new day and the new car.